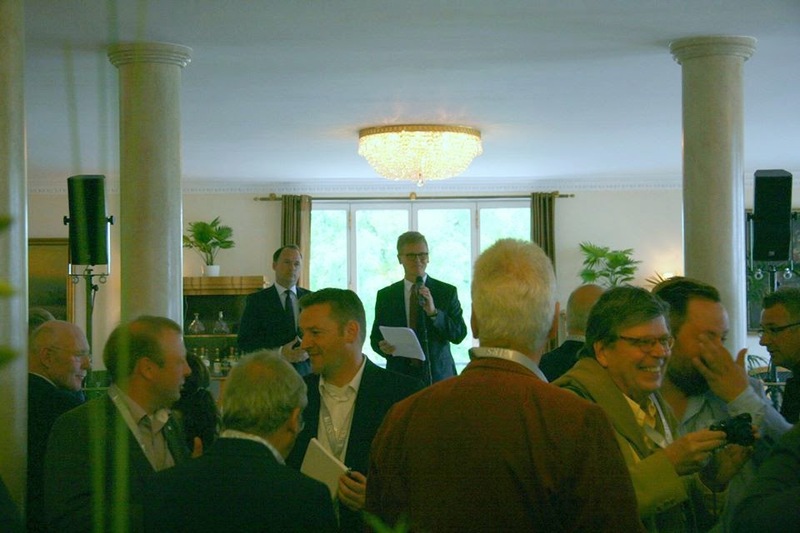 “In the midst of today’s Riesling renaissance, it is important that the leading Riesling regions of all continents work together and exchange thoughts,” said Hessen’s former Prime Minister Roland Koch in his opening remarks at the 1st International Riesling Symposium in 2010. Three and a half years later, on May 26 and 27, 2014, Riesling experts from around the world - top winemakers, representatives from the trade and restaurant sector, and journalists – gathered again at Schloss Rheinhartshausen in the Rheingau to celebrate, discuss and taste the arguably most noble white grape in the world - Riesling. The International Riesling Symposium - the official name is: Internationales Riesling Symposium (in German with an "es" at the end) - in the Rheingau is part of the so-called Riesling Coalition, encompassing 3 major Rieslings events in Germany (International Riesling Symposium), in the US (Riesling Rendezvous) and in Australia (Riesling Downunder). 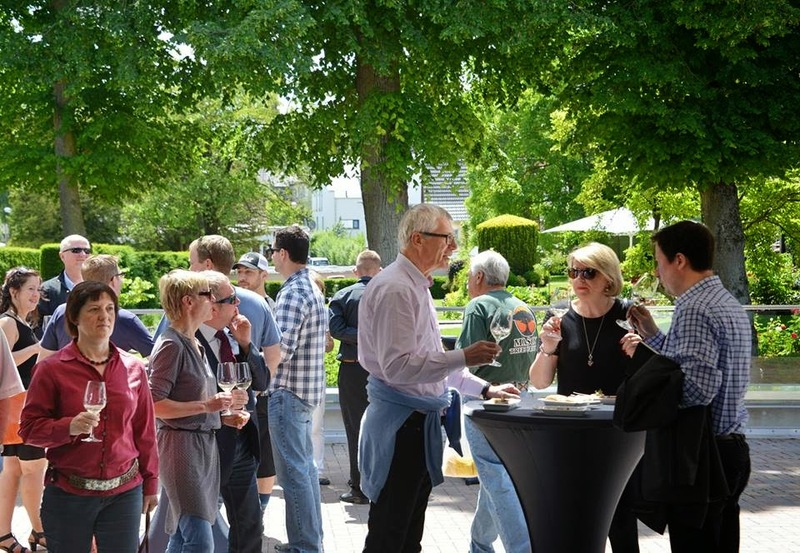 Following this year’s International Riesling Symposium in the Rheingau, the Riesling Coalition caravan will travel to Australia next year for the 2015 Riesling Downunder, followed by the Riesling Rendezvous in Seattle, Washington State, in 2016 and the next International Riesling Symposium in the Rheingau in 2017. Six very interesting lectures and discussions, four outstanding wine tastings - one in the morning and one in the afternoon of each day - and a walking wine dinner provided for two fascinating and highly entertaining days around Riesling. The symposium was attended by about 200 people, including such luminaries as Stuart Pigott from Germany, Willi Bruendlmayer from Austria, Helmut Doennhoff from the Nahe, Ernst Loosen from the Mosel and Stephen Henschke from Australia. 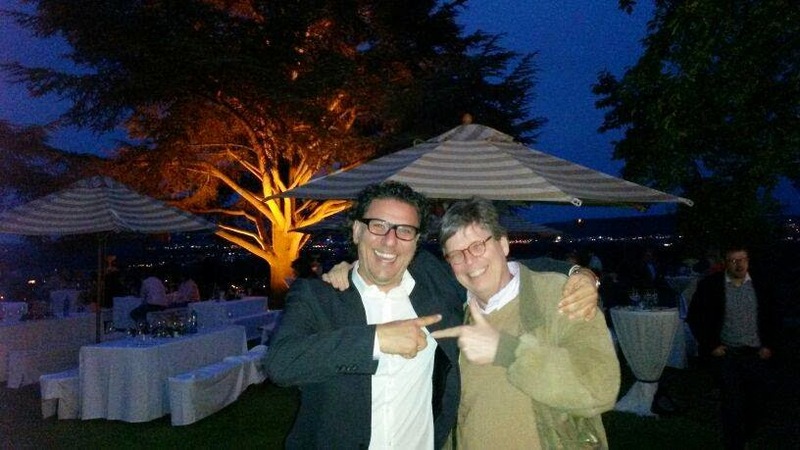 Top winemaker Wilhelm Weil and his right hand and Export Director Jochen Becker-Köhn orchestrated the two days event. 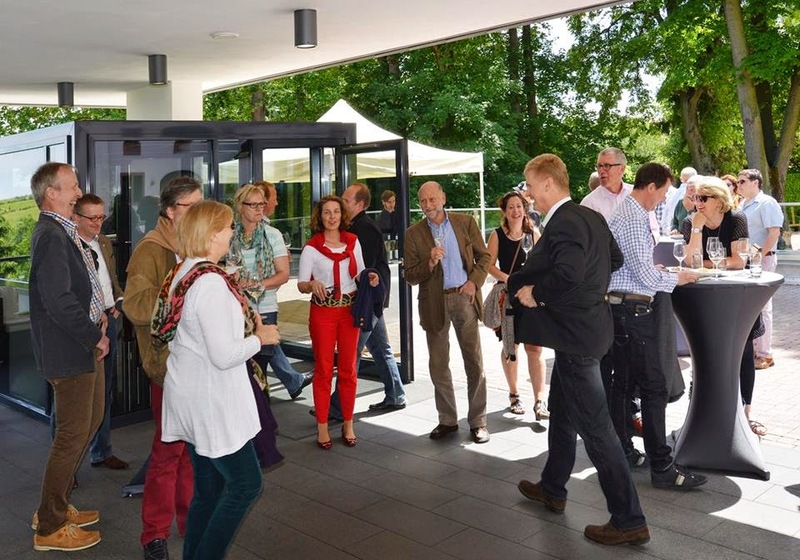 Finally, participants had a chance to visit Weingut Robert Weil, Kloster Eberbach and Schloss Johannisberg on a pre-conference tour on Sunday, before the conference started. 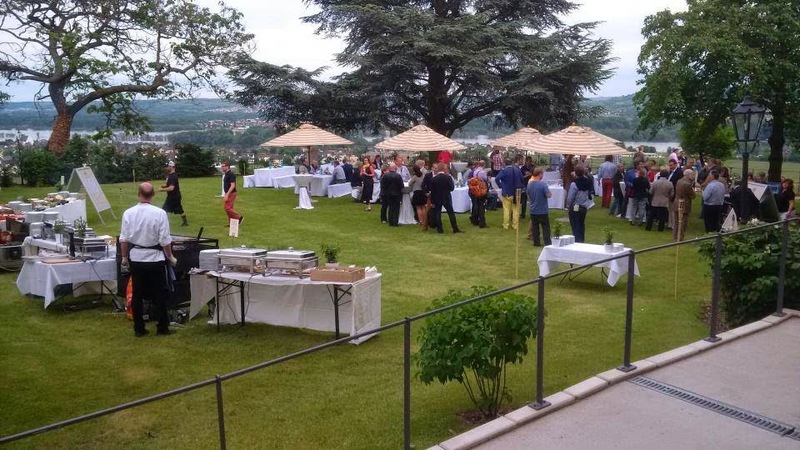 The conference was organized by the VDP Rheingau and Weingut Weil. The VDP is Germany’s elite winemakers association; it has about 200 members. Overall, Riesling is really a niche wine, accounting for less than 1 percent of total wine production in the world - but a very special niche wine. Many of us accepted Wilhelm Weil’s invitation and joined him on a pre-conference tour. We started out at Weingut Robert Weil with lunch, wine tasting and tour. At Kloster Eberbach we were received by General Manager Dieter Greiner, who showed us around in the historic cellars and the new, modern winery, as well as in the famous Steinberg vineyard and who opened extraordinary wines, including a 1959 Steinberger Cabinet. We concluded the tour at Schloss Johannisberg with a cellar tour, tasting and dinner; the charming and energetic Domain Director Christian Witte was our host. Wilhelm Weil opened the conference. Austrian Wine Marketing Managing Director Willi Klinger shared with us his thoughts - from an Austrian perspective - on the opportunities and challenges in marketing Riesling wines around the globe. 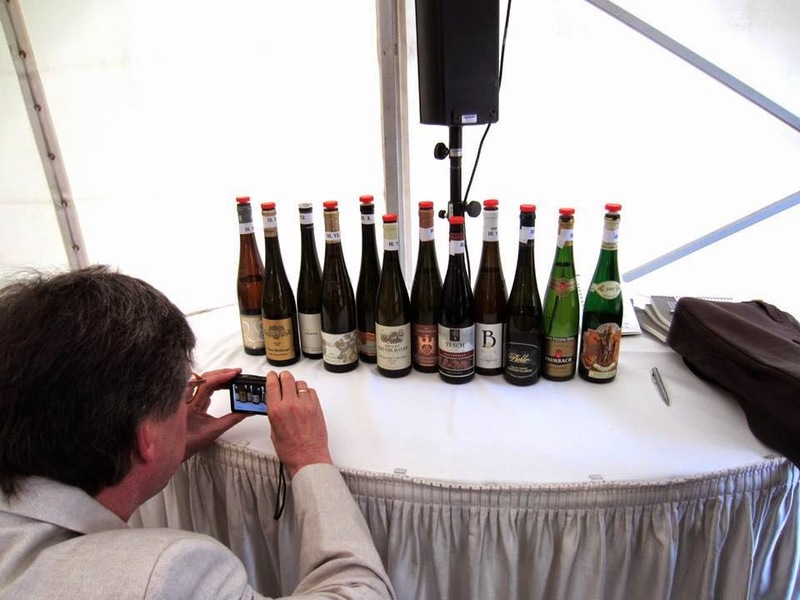 11:45 Stuart Pigott – First Tasting: Rieslings from the New World – More Traditional than Rieslings from the Old World? We tasted 20 most interesting New World Rieslings from Australia, North America, East Europe and New Zealand, presented by Stuart Pigott from New York/Berlin. As Stuart Pigott said, Riesling has become a global grape and fine Riesling wines are being produced not only in Germany, Alsace and Austria any more, but in many regions of the global. 14:00 Hans R. Schultz – Lecture: Do we know the Climatic and Viticultural Basis for the Production of Great Riesling Wines? Professor Hans R. Schultz from the Geisenheim University shared with us his research results. Pictures: Hans R. Schultz – Lecture: Do we know the Climatic and Viticultural Basis for the Production of Great Riesling Wines? Gault Millau WeinGuide Deutschland taster Giuseppe Lauria from Wiesbaden led a tasting of 12 wine pairings - ultra-premium German wines in two versions: the same wine fermented dry (with a normal alcohol level) (Grosses Gewaechs) and fermented sweet (with a low alcohol level) (Spaetlese). Basically, in the second wine the fermentation was stopped to leave residual sugar in the wine. This was a fascinating blind tasting. Professor Stoll from the Geisenheim University shared with us his research results. Wine Journalists Cornelius and Fabian Lange led an entertaining tasting of 25 dry ultra-premium Rieslings, all from Europe - from the Rheingau, the Wachau, Alsace, Mosel, Pfalz, Kamptal, Nahe, Rheinhessen and Franken. This was again a blind tasting. 13:00 Monika Christmann – Lecture: How to Optimize the Alcohol Content of Riesling Wines? Professor Christmann from the Geisenheim University shared with us her research results. 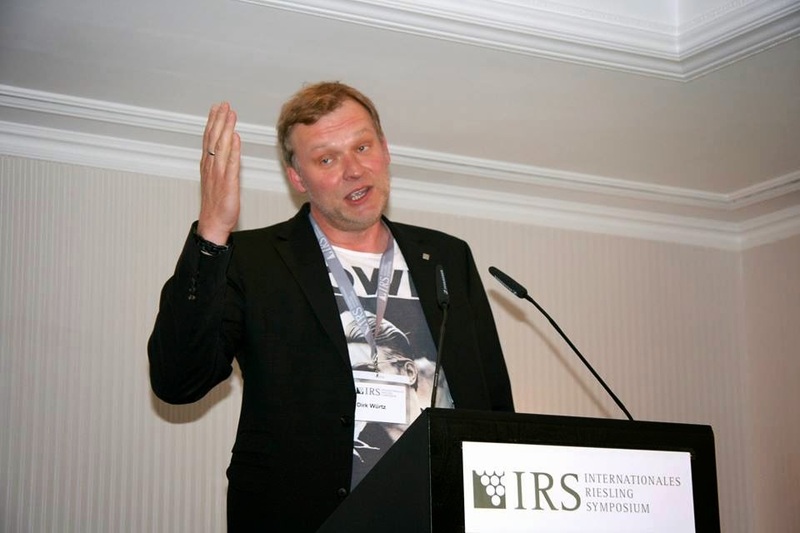 Picture: Monika Christmann – Lecture: How to Optimize the Alcohol Content of Riesling Wines? Wine Journalist Caro Maurer (Master of Wine) led a tasting of 23 dry and sweet-style, aged Rieslings from Australia, New Zealand, Germany, Canada and Austria, going back to 1945, 1959 and 1971. The youngest wines were 10 years old. All the 23 wines were brilliant, showing the aging potential of Riesling, both in a dry and sweet style. Wine Blogger and Weingut Balthasar Ress Dirk Wuertz led a presentation and discussion about the role of Social Media for wine makers and consumers. In my comment, I praised the facebook page of Weingut Dr. Loosen as being a good example for how to manage a facebook fan page.